Deceuninck is among the top 3 PVC Window and Door profile manufacturers in the world. Deceuninck was established in Belgium in 1937. As a true specialist in compound technology, design, development, extrusion, finishing and recycling for the construction industry, Deceuninck is among the top 3 PVC Window and Door profile manufacturers in the world. Continually developing innovative products through a strong R&D discipline, Deceuninck'steam of professional specialists develop innovative products delivered to more than 4000 customers. Deceuninck operates in 91 countries with 35 affiliates and more than 3500 employees throughout the world. 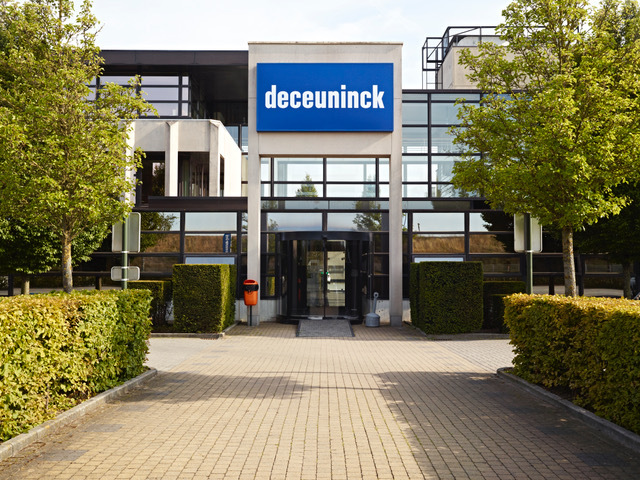 With 22 storage and distribution facilities as well as 14 vertically integrated manufacturing plants located in five geographical locations: Western Europe, Central Europe, Eastern Europe, North America and Turkey, Deceuninck provides all customers with outstanding quality and product assurance. Deceuninck is also a globally integrated company with a turnover of 670 million Euro per year. A publicly traded company, Deceuninck engages in manufacturing activities to build "a world more livable," drawing from its sustainable business model. As a leader of the sector and continuously renewing itself, Deceuninck closely follows all technological developments and introduces the market to innovative products. Deceuninckemploys factories and offices to properly service the globe including Germany, USA, Australia, Belgium, Brazil, France, India, UK, Russia, Romania, Poland, Chile, Thailand and Turkey.